In this highly anticipated second novel by the author of the award-winning, bestselling The Thing About Jellyfish, being the new kid at school isn’t easy, especially when you have to follow in the footsteps of a classroom prankster like Paulie Fink. When Caitlyn Breen enters the tiny Mitchell School in rural Mitchell, Vermont, she is a complete outsider: the seventh grade has just ten other kids, and they’ve known each other since kindergarten. Her classmates are in for a shock of their own: Paulie Fink–the class clown, oddball, troublemaker, and evil genius–is gone this year. As stories of Paulie’s hijinks unfold, his legend builds, until they realize there’s only one way to fill the Paulie-sized hole in their class. They’ll find their next great Paulie Fink through a reality-show style competition, to be judged by the only objective person around: Caitlyn, who never even met Paulie Fink. Who was this kid, anyway–prankster, performance artist, philosopher, or fool? Caitlyn’s quest to understand Paulie is about to teach her more about herself than she ever imagined. 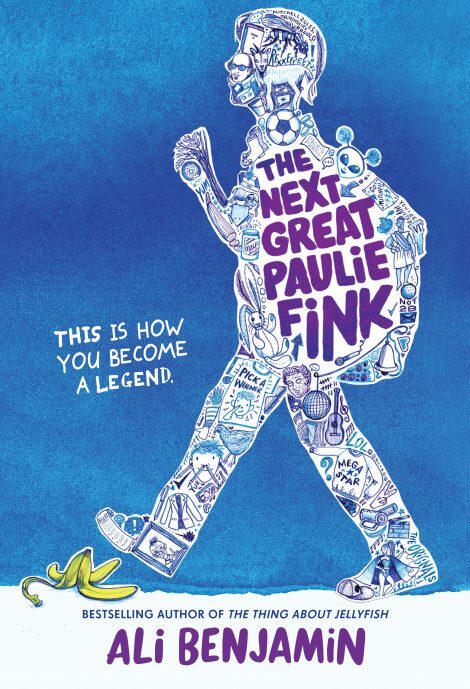 Told via multiple voices, interviews, and other documents, The Next Great Paulie Fink is a lighthearted yet surprisingly touching exploration of how we build up and tear down our own myths…about others, our communities, and ourselves. 1. Mags defines kleos as “Renown. Glory. Being remembered” (page 140). What qualities do you think make someone worthy of glory or renown? What are some examples of people who will be remembered? What would you want to be remembered for? 2. How does Caitlyn’s treatment of Anna Sprang influence your view of Caitlyn as a person? Why do you think Caitlyn treats Anna the way she does? 3. In order to navigate her daily life at school, Caitlyn creates many lists of rules. Discuss how these rules impact her. Do they help, hurt, or limit her? Do you have unwritten rules in your own life? 4. 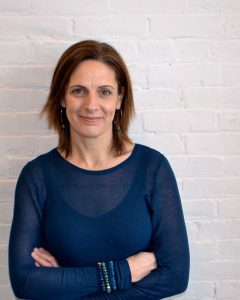 The chapters switch back and forth between Caitlyn’s perspective and the interviews she conducts with other characters. How do these two formats differ from each other? What kind of information does each format reveal? 5. What is the significance of the name the Originals? Is it appropriate? How do the Originals turn their uniqueness into strengths? Is Caitlyn able to do this, and if so, how? 6. What are some of the differences between Caitlyn’s old school and The Mitchell School? Are there any parts that stay the same between the two schools? 7. How does the story Caitlyn tells Kiera about the girl “who felt too soft on the inside” reflect Caitlyn’s own experiences (page 275)? 8. Henry tells Caitlyn that “Back in ancient Greece, there wasn’t a single source that told the whole story of any one god, or anything else, for that matter” (page 332). What are some examples of characters not telling the whole story about an event or character? 9. How does Paulie’s letter change your perception of him? How does the way he describes himself compare to how his classmates view him? 10. Do you think you can ever really know what someone else is going through? How can your assumptions about someone else’s life impact them? How do your assumptions about others limit yourself?